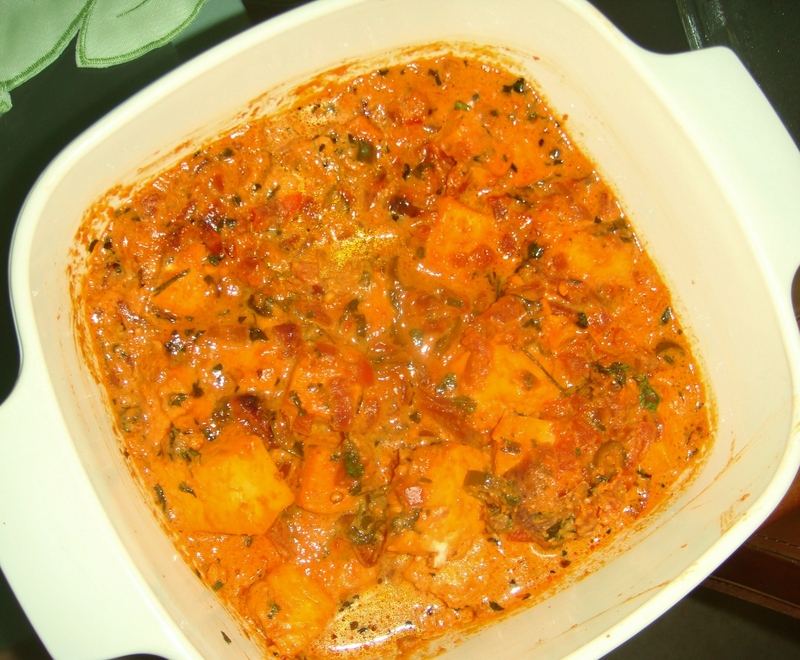 I had been wanting to try out a new recipe which I had come across for making paneer masala. Today seemed the perfect time to make it as some friends were coming over. The recipe called for using tandoori masala and kasuri methi and turned out to be a big hit. So here is the recipe. 1. Heat oil in a vessel. Add onions and fry till it’s golden brown. 2. Add garlic paste, ginger paste, green chillies and cilantro. Fry for a minute. 3. Add tomatoes, tomato paste and cook on medium high for till it starts to leave oil and the tomatoes are cooked. 4. Add tandoori masala and salt for taste. Mix well. 5. Lower the heat, add milk or cream and stir for a few minutes till well mixed. 6. Add cubes of paneer and stir gently. Add kasuri methi . Cover and cook for five minutes, on medium heat. 7. Serve hot with roti/naan.